DURAGADGET's leather case for the Amazon Kindle 3 Graphite protects your Kindle and enhances its use. The soft leather finish acts as a tactile barrier protecting from knocks and scratches whilst out and about. Inside the case a tough PU Leather lining is used to form a protective frame around your Kindle, adding to its durability, longevity and toughness. An in-built stand allows you to place your Kindle on a desk, table or any other surface you wish without the need to hold it, with an ingenious adjustable arm that allows a wide range of viewing angles so you can achieve your perfect reading experience. N.B. 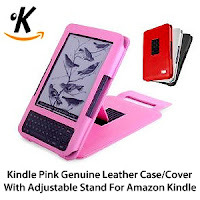 This case is custom engineered for the 2010 Kindle 3 (Keyboard/Graphite) and as such is not compatible with the New 2011 Kindle Range (Kindle, Kindle Touch, Kindle Touch 3G and Kindle Fire). PU leather interior adds strength and durability to the case. Ergonomic cut outs for all controls; no need to remove your Kindle to use it as all buttons and connectors are exposed. Built-in multi-angle stand function allows you to read at your preferred angle without having to hold the device; ideal for the train, dining table or on your lap. 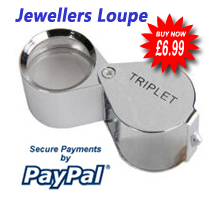 Available in a range of colours: Red, Black, Pink and White. I spend a lot of time choosing a kindle cover and eventually settled on the Duragadget leather cover (in pretty pink). It fits the kindle perfectly and protects it. I love the fact that I don't have to hold the kindle. I simply prop it up on a pillow on the appropriate height and read away. It's just as easy to prop it up on the trains or planes fold down tables. The cover doesn't add a lot of bulk to the kindle and is very light. Which means it can easily be slipped into handbags without taking up too much space. Not too mention that it looks quite stylish.